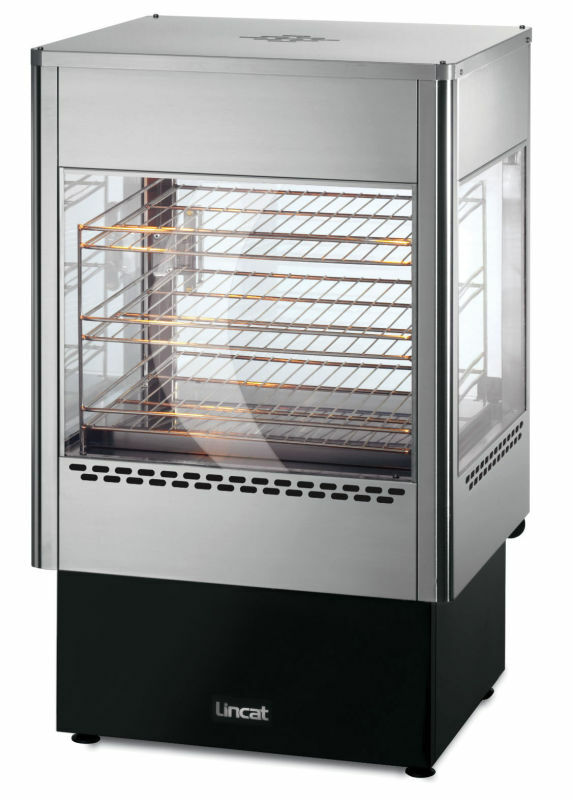 Square static chrome plated rack, toughened safety glass sides and hinged glass door with stay cool handles for safe and efficient back service operation. 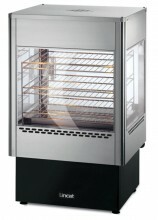 Internal lighting, chrome plated rod shelf and removable internal base to oven. Drop down door and fully insulated oven.